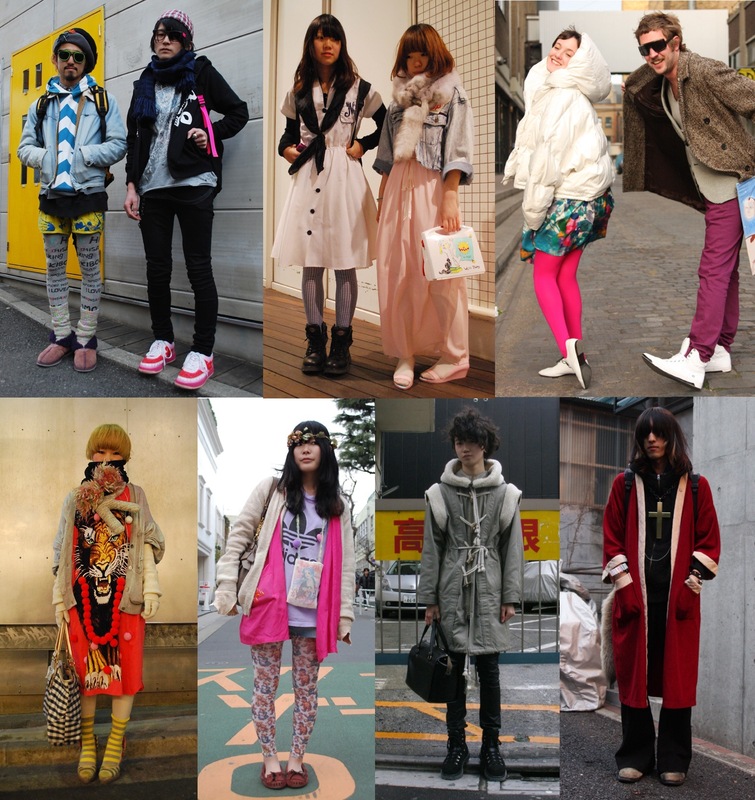 Forgive me blogosphere, for I have neglected, it has been five days since my last fashion confession. Could I be more blasphemous? But in all sincerity, I do apologize, it seems as though my senioritis has unfortunately spread into my DL life recently which is really quite a shame since my thrifting has been going so well lately. I wish I could share some of the cool clothes that exist in the world to you, as you do the same for me. Anyway, you all know how much I love my boyfriend, but you might not yet know how much he loves Japan. He is continuously encouraging me to explore Japanese fashion and embrace the culture that he has accepted as his own. Well, I just wanted to give credit to where credit is due for my newly aroused awe of Harajyuku style.